Church Responds to Community Outraged by Lost Mural: Where Were You the Last 5 Years? Last week, when in the Northside Stranger’s Home Missionary Baptist Church in the Cabrini-Green neighborhood in Chicago painted over its historic mural with no notice, there was understandably an outcry from the public. 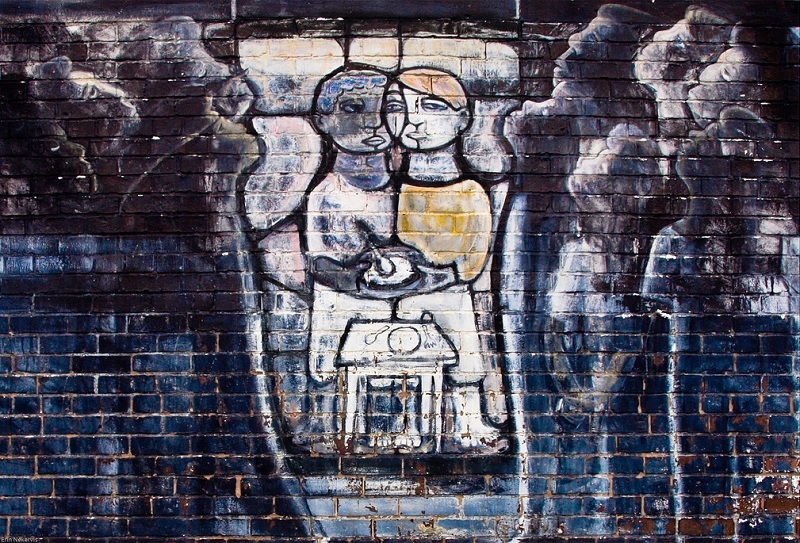 Many saw the mural as a staple in the community and within greater Chicago. The mural was painted by one of Chicago’s first muralists in 1972 in the midst of a social revolution. Since then, the “All of Mankind” mural has symbolized peace and unity between different religions and backgrounds while also including the names of people who were killed in terrible ways, like Malcolm X, Jesus Christ, Martin Luther King, Jr., among others. According to Jon Pounds, emeritus executive director of the Chicago Public Art Group, which fought for years to save the mural, it was painted over in light of the property’s new owner deciding to convert the church into a home. Indeed, the mural’s fate was tied to the fate of the Cabrini-Green church, which put the property up for sale five years ago having lost much of its congregation in the changing neighborhood. Once a haven for the poverty-stricken, the Cabrini-Green neighborhood now houses a more affluent crowd. With the changing needs of its community, the church fell on hard times. “It was a teaching piece. Not only for adults, but specifically for kids. It was a value [that kids] could check out all of the names and events and do research on them,” she said. In response to the backlash to the decision, those who ran the church had only this to say: Where were you five years ago, when the church needed you? Annie Thomas, the daughter of the founding pastor of the church expressed little sympathy for those outraged about the loss of the mural. “Nobody could help, and now they want to know why it’s gone,” said Thomas. According to Thomas, painting over the museum was “completely the church’s decision.” The church had considered other options, such as moving it entirely or repair it, doing so was always too costly. None of the prospective buyers of the property were willing to repair or move the mural themselves. The Chicago Public Art Group and other concerned individuals wanted to take on the responsibility of the church and convert it into a community center, but couldn’t afford the $1.7 million asking price to buy the property. Despite their good intentions, the immediate needs of the church and the need to pay off its debts prompted the decision to sell.